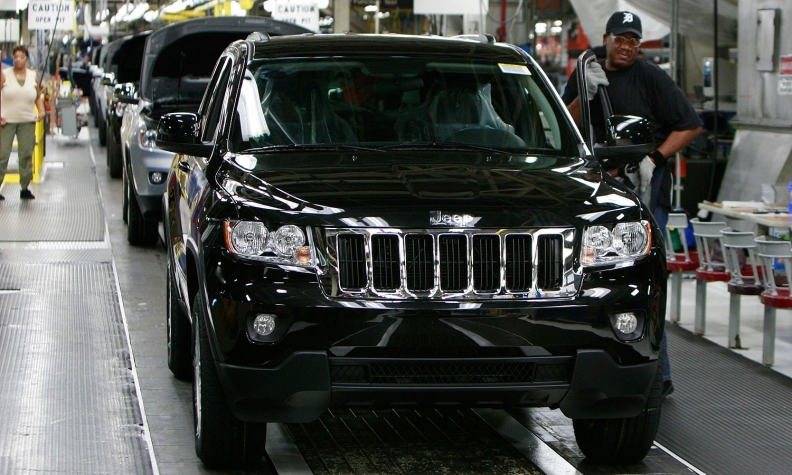 Jefferson North produces the Jeep Grand Cherokee and Dodge Durango. DETROIT -- An employee at Fiat Chrysler’s Jefferson North Assembly plant died accidentally this morning after being crushed. The UAW identified the victim as Donald Megge, 53, of Sterling Heights, Mich. The union said Megge, a millwright and wastewater operator, died while performing regular preventive maintenance during a shift that started at 5:30 a.m. He was working alone and was discovered at about 6:30 a.m.
An FCA spokeswoman said the incident occurred in the on-site wastewater treatment plant that services the 3-million-square-foot plant where the Jeep Grand Cherokee and Dodge Durango are assembled. The treatment plant is in a separate building from the assembly operations and production was not impacted. "FCA US is deeply saddened by the tragic accident that took the life of an 18-year employee at Jefferson North this morning and our heartfelt condolences go out to his family," the company said in a statement. "The safety of our employees is our first priority, and we will continue to work in cooperation with the authorities, including (Michigan job safety regulators), to investigate the circumstances surrounding this terrible tragedy." Jefferson North, built in 1991, employs more than 4,600 people, including about 4,400 hourly workers. “Our heartfelt sympathy is extended to the family, friends and all of those who worked with UAW member Donald Megge,” Norwood Jewell, UAW vice president for the union’s FCA department, said in a written statement. Jefferson North is the same assembly plant where an autoworker stabbed one of his co-workers to death in a dispute over a woman in September 2012. The alleged assailant fled and took his own life nearby.